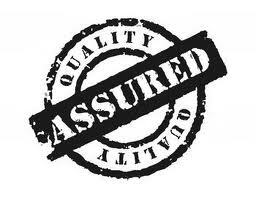 We are so confident of our translations that we offer a 12 months guarantee in every job. We will always proofread our deliverables before getting them to you, but we always welcome feedback from our customers. If any problem of consistency or style is found, we will amend it at no cost for you. Should you need to add some extra information (you know, some extra lines), we will gladly help you translating it for free, just because we care about our customers.